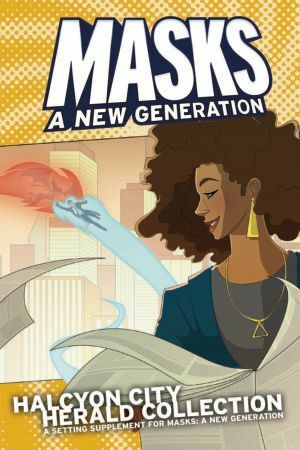 The Halcyon City Herald Collection is a sourcebook for Masks: A New Generation that fleshes out Halcyon City with new places, new faces, and new mysteries. Masks: A New Generation is a ENnie-award winning superhero roleplaying game in which a team of young heroes fights villains, saves lives, and tried to figure out who they are—noble paragons? Dark avengers? Or regular kids? All against the backdrop of Halcyon City, the greatest city in the world. Here, you’ll find everything you need to spice up your version of Halcyon City at a moment’s notice.